I’ve been inspired lately to put more practical life activities on our Montessori shelves. 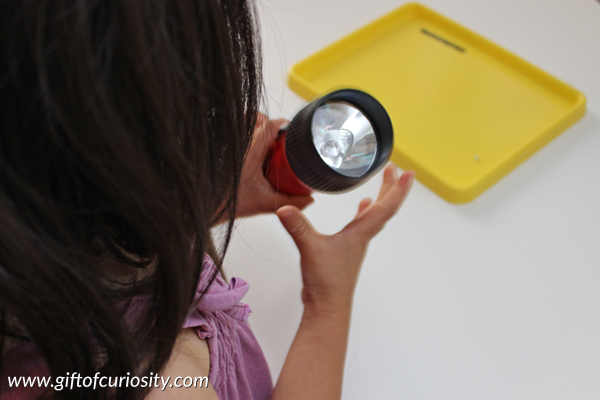 Because my kids have always shown an interest in flashlights, I decided to create a tray to teach them how to assemble a flashlight. I hoped this would be a great practical life activity that would keep their interest. And boy did it ever! 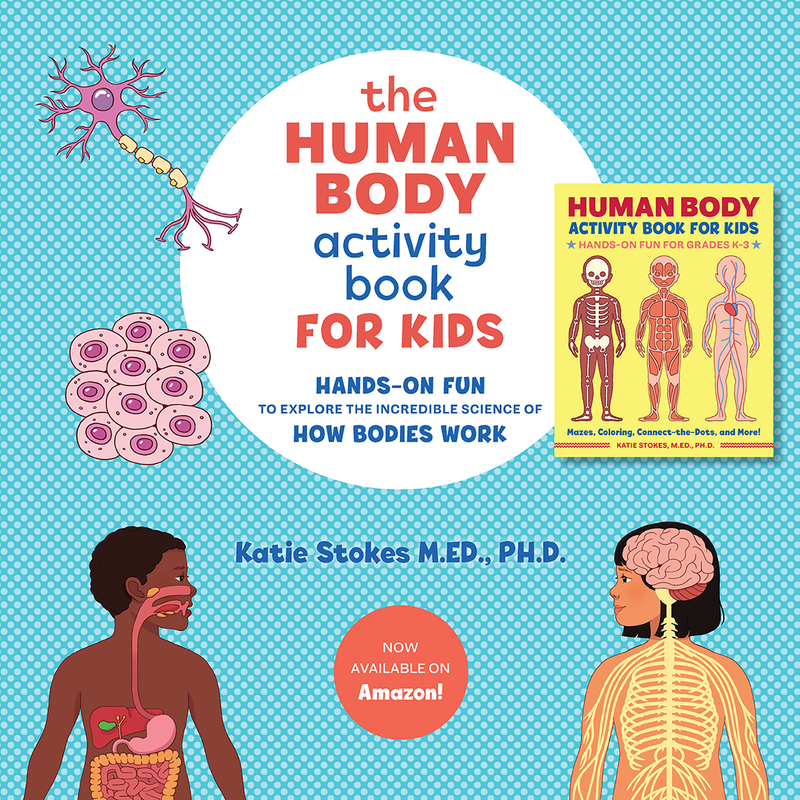 This was by far the favorite activity on our shelves for a couple of weeks. 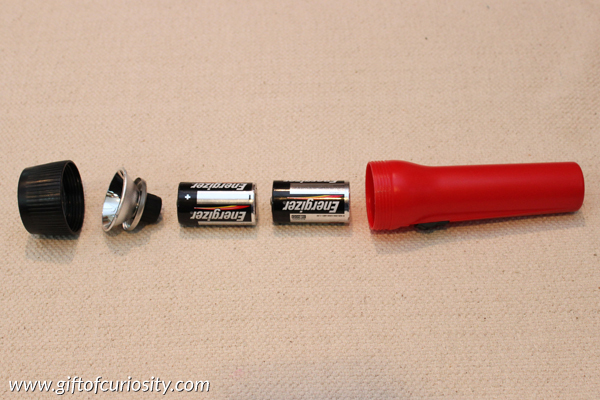 Why teach kids how to assemble a flashlight? First, it gives them some basic knowledge about how a flashlight works. Second, they get to practice fine motor skills as they screw and unscrew the top on. Third, I wanted them to get a basic introduction to batteries, including the fact that batteries have a positive and a negative end. This simple and appealing activity achieves all of these goals. 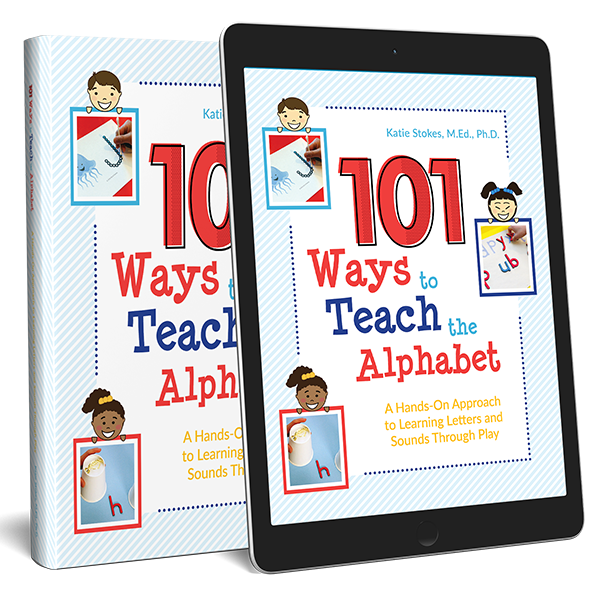 Note: For more practical life and other Montessori-inspired activities, see my Montessori activities page. For this activity, I prepared two control cards by taking photographs of our flash light. The first control card showed all the pieces of the flash light laid out in the order in which they would be assembled. The second control card was designed to show my kids how the positive end of the battery goes in facing away from the base of the flashlight. I put these control cards along with the flashlight on a tray. I presented the tray to my kids by demonstrating how to use the control card to take apart and reassemble the flash light. And then I let them try it on their own. 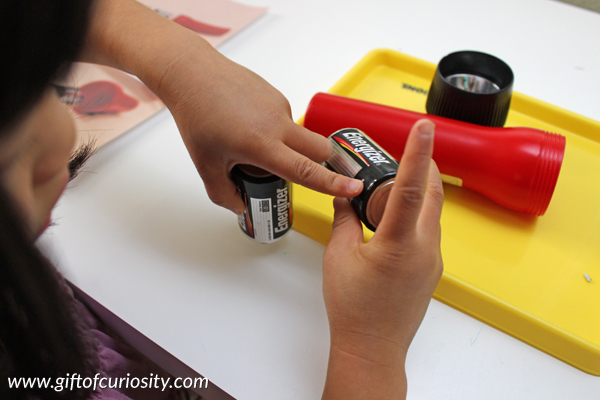 Both kids did this activity many, many times during the weeks it was on our shelves. They learned how to identify the positive and negative ends of the battery. They learned to assemble everything in the correct order. And the best part of all is that – if they did their job right – they were rewarded with a flashlight that would turn on. So much learning from such a simple activity. What simple things from around the house have you turned into great learning opportunities for your kids? Leave a note in the comments to inspire me! 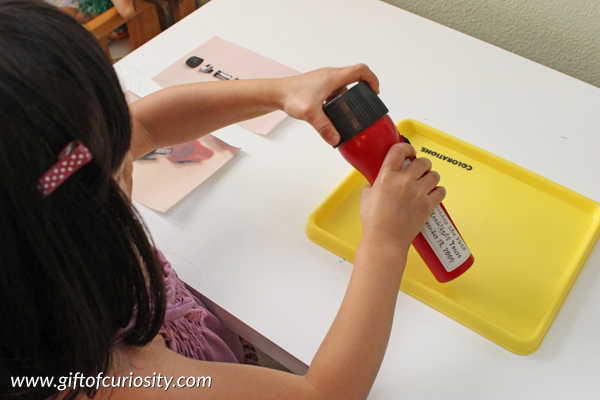 Foe more Montessori ideas, see my Montessori activities page and my Montessori Pinterest board. 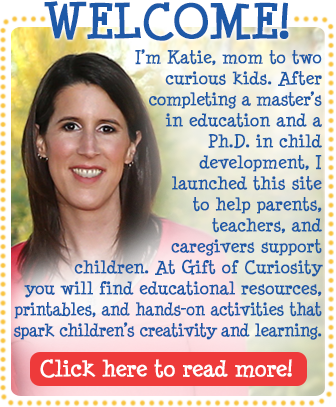 Follow Gift of Curiosity’s board Montessori on Pinterest. This is a great experience! 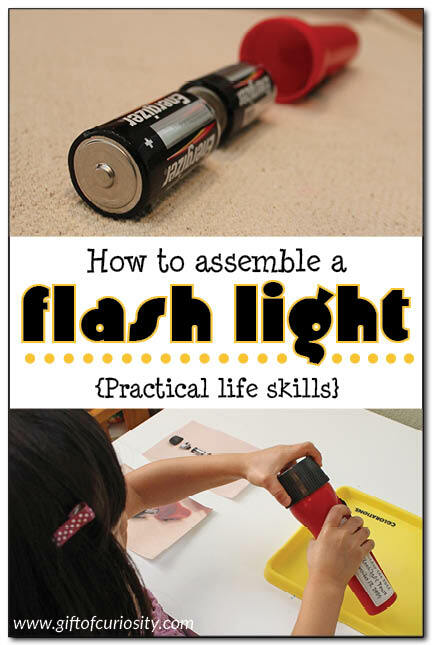 My husband actually did this with my son a couple of months ago and the next morning my 8 y/o was excited to teach his 4 y/o sister how to put a flashlight together too!! His feeling of accomplishment was quite evident! So true! Kids feel so proud of themselves for learning how to do these tasks! 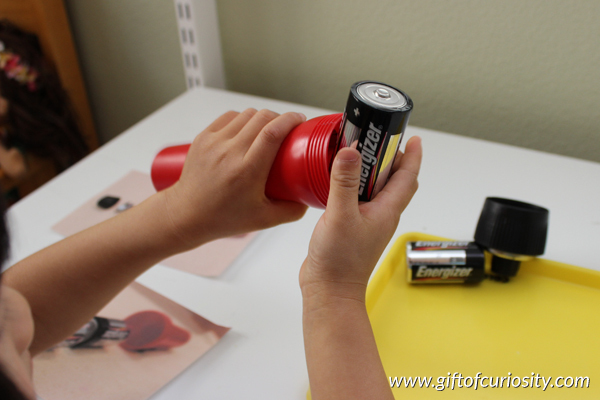 I think this is a great way for kids to also learn about electricity currents when putting the batteries into the flashlight. I love your use of the control cards! Looks like it was a hit! Oh yes, it was a big hit! 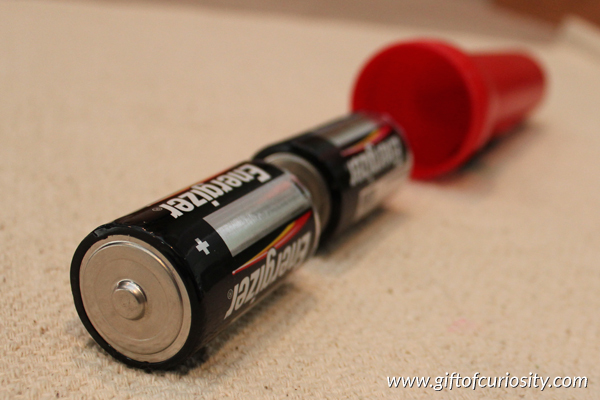 And my kids really learned something from it, because now they have been changing batteries in other toys around the house and they know how to put the batteries in correctly! Also have you heard of Snap Circuits? I do that with my 4 year old sometimes and I’ve been trying to teach him about the positive terminal of a battery and figuring out which way to put the battery in using the diagram, but so far he hasn’t caught on. I think this activity will help. I have heard of Snap Circuits, although I thought they were for slightly older kids??? They are sitting in my Amazon cart but I haven’t yet purchased them. Someday though! A necessary skill to have! 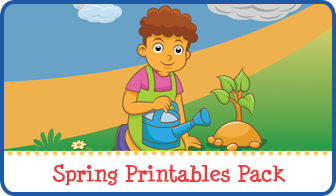 Combining fine motor skills with following directions and electronic learning is a great idea. 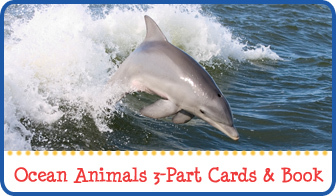 Thanks for linking up with Mom’s Library, I’ll be featuring you this week at Crystal’s Tiny Treasures.